The article is below. The video report can be seen here. They are arrested, tortured and sentenced to death. Every twelve hours, someone is executed in Iran. They die by hanging, firing squad and even stoning. It is the country with the highest execution rate in the world and two men from Canada are on Iran’s death list. 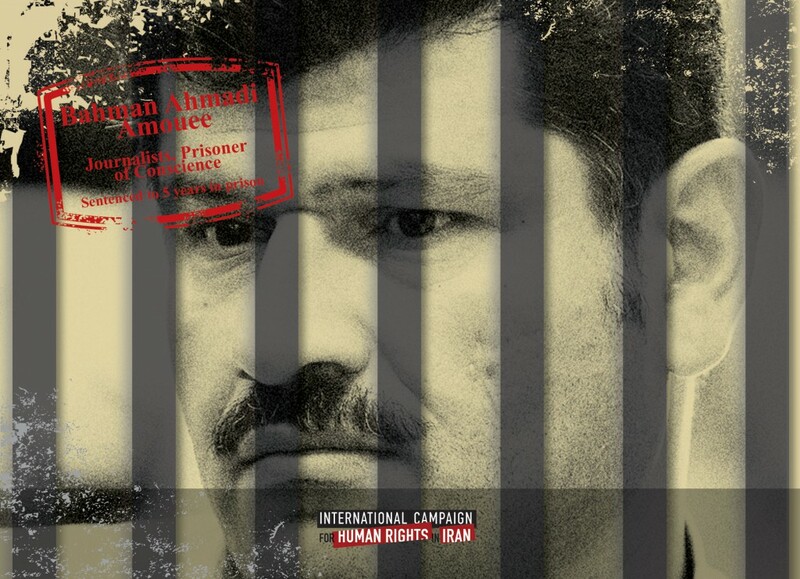 A group of friends and colleagues of prominent Iranian journalist Bahman Ahmadi Amouee, a prisoner of conscience who has spent almost two years in Evin Prison, have undertaken a campaign to support him through raising public awareness about the conditions of Amouee and other political prisoners, and demand their release. The campaign began by inviting groups and individuals to publish articles about Amouee on his birthday on 22 May. For the past ten months, Amouee has not been given in-person visitation rights with his wife, Jila Baniyaghoub, a distinguished journalist in her own right. He has also been denied the right to call his 83-year-old mother, who is unable to travel to Tehran from her small town to see him. The Iranian Association of Scholars, based in Europe, has released a statement aimed at Western governments and in support of Iranian asylum seekers in Europe. The Association’s statement comes after six Iranian asylum seekers have publicly sewn their lips together with fishing line to protest the U.K. government’s denial of asylum. The Association stressed that in light of the Iranian government’s poor human rights record Iranian, asylum claims should be treated very seriously. The International Campaign for Human Rights in Iran supports the Association’s advocacy on behalf of asylum seekers and urges the European governments to note the worsening human rights situation in Iran and process the applications of asylum seekers in a timely and credible way. Mr. Shirkoo Moarefi, an Iranian-Kurd in his early 30’s, faces an alarming possibility of execution by the Islamic Republic of Iran (IRI). His charges are “acting against national security” and “enmity with God.” Mr. Moarefi is one of over twenty Kurdish prisoners sentenced to death in Iran. 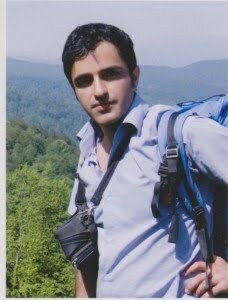 He was previously a refugee living in Iraq, but was arrested in October 2008 after returning to Iran. Yesterday a protest was held in Sweden to demand a halt to Sirvan’s deportation. By the end of the demonstration, it seemed that the Migration Office had agreed to review Sirvan’s case; however, it seems that the decision to review his case has not been communicated to the police! Today there were two smaller demonstrations outside „Migrationsverket“ in Stockholm and Göteborg at 8am. Focus on political prisoners in Iran!And now about Zia Nabavi the Iranian political prisoner.Zia speaks about“Karoon“prison in Ahwaz city ! Kommentare deaktiviert für Focus on political prisoners in Iran!And now about Zia Nabavi the Iranian political prisoner.Zia speaks about“Karoon“prison in Ahwaz city ! Illegal Detentions of Iranian Refugees in Cyprus: Break the Silence! Iranian refugees in Cyprus, like refugees around the world, have long endured the lack of rights and the exploitation that comes without having a recognized legal status within society. Yet while the dire circumstance of Iranian refugees in places like Turkey and Greece are better known, a veil of silence is draped across the abuses of human rights inflicted on refugees in Cyprus. Iranian refugees themselves have been working hard to break that silence. They have climbed to the tops of water towers to demand their rights. They are organizing themselves to demand their rights online. And when they are illegally detained in places like Larnaca and Limassol, they protest inside of the prisons. Kommentare deaktiviert für Illegal Detentions of Iranian Refugees in Cyprus: Break the Silence!